After the success of 2017’s Fell Running Session (click the link for my review of last year), the Thursday night returns this time presented by Harvey Maps and supported by inov-8. If last time is anything to go by, given Jon Richardson returns are master of ceremonies, it is going to be one of those runs where you forget about the terrain, instead focusing on breathing between bouts of expressive belly laughter. 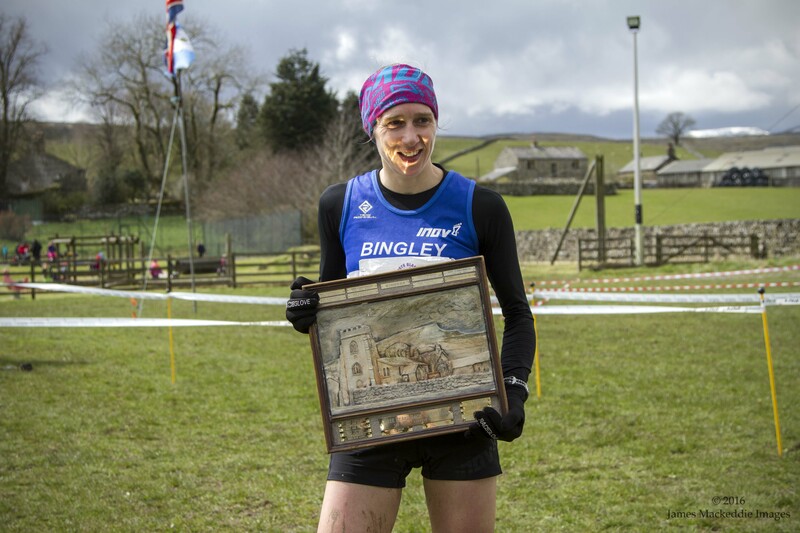 Victoria Wilkinson pictured at the 2016 3 Peaks race, has been having an exceptional year and will be talking about her career & highlights from 2018. Darren Fishwick will be reading some of his Fishwick Chronicles. Wendy Dodds, fell running legend and royalty, talks about her 40 years of long-distance epic and fell runs, in the Lakes and beyond. Dan Duxbury, Frog Graham record holder (check out what the Frog Graham is here) will be sharing tales from the Lakes and fells, from his amphibious exploits. Added to the session is the World Premier of Kilian Jornet‘s new film “Bob Graham Round”. Unfortunately Kilian is unable to attend, as he’s on a world tour, however, Kendal Mountain Festival is lucky to have some of the organising team and pacers on stage including Rob Jebb, Carl Bell and Shane Ohly. If that wasn’t enough, Billy Bland makes a return for the 2nd year in a row, which last year proved to be my highlight of the night. Can he steal Kilian’s thunder? You’ll have to wait to find out.